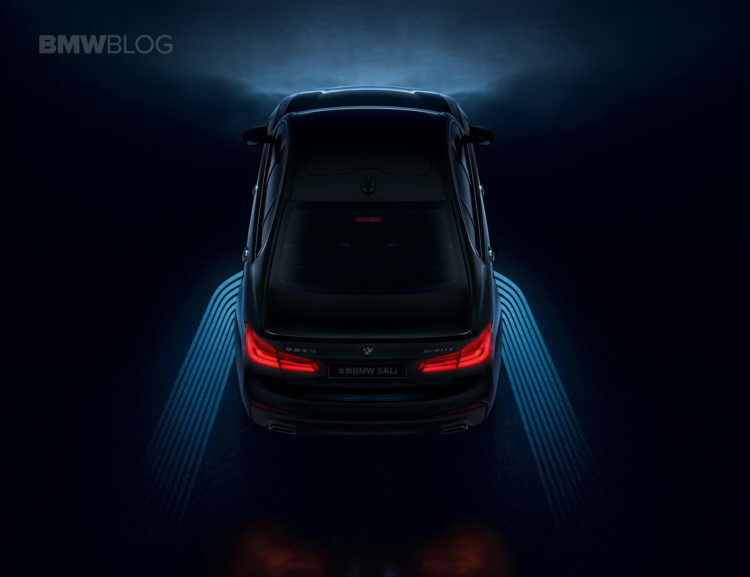 Just a few days ago, the new BMW G38 5 Series long wheelbase version celebrated its world premiere at the 2017 Shanghai Motor Show and we quickly had some live photos of the extended 5 Series. 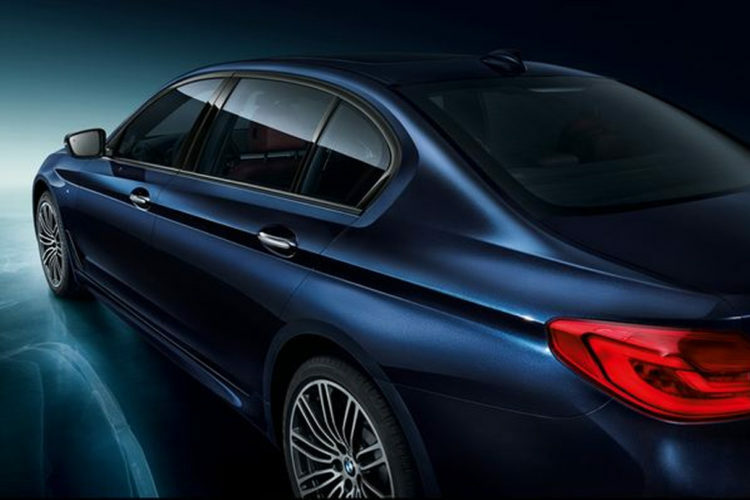 Just like the BMW G30 5 Series for the rest of the world, the long version G38, exclusively manufactured and sold in China, is available in various variants. The choices vary from a basic version without a line, the M Sport package and the Luxury Line. With the help of these three options, the customers, who are usually located in the rear seat, can adjust the appearance of their limousine to their wishes. 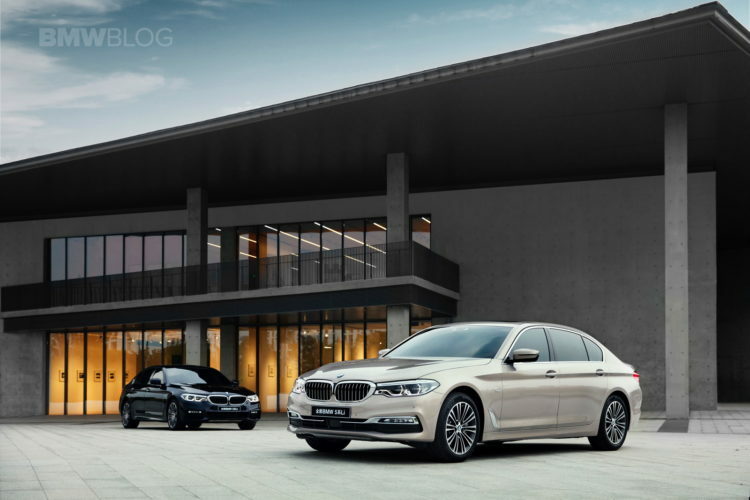 The Munich-based company wants to lay the foundations for maintaining the position of the BMW 5 Series as the most successful premium series on the Chinese auto market. The lightweight design concept of the seventh BMW 5 Series also produces measurable fruit in the long version; depending on the engine, the weight has been reduced by up to 130 kilograms, despite significantly improved safety technology and more extensive standard equipment. In addition, the length of the extended body is additionally emphasized by a discreet line in the metal sheet, which is above the actual shoulder line and runs from the C-pillar to the rear end over the taillights. More importantly, however, most customers will probably enjoy the extra space inside. There is not only a lot of space for the head and body, but also a more comfortable sitting position and the improved noise reduction make traveling with the BMW 5 Series Li more enjoyable. The optional comfort seats in the rear can be equipped with seat heating and active seat ventilation, and an electric adjustment of the backrest inclination is also available. The center armrest with removable tablet computer TouchCommand and the position of the passenger seat, adjustable from the rear, are only available for the 7 series. 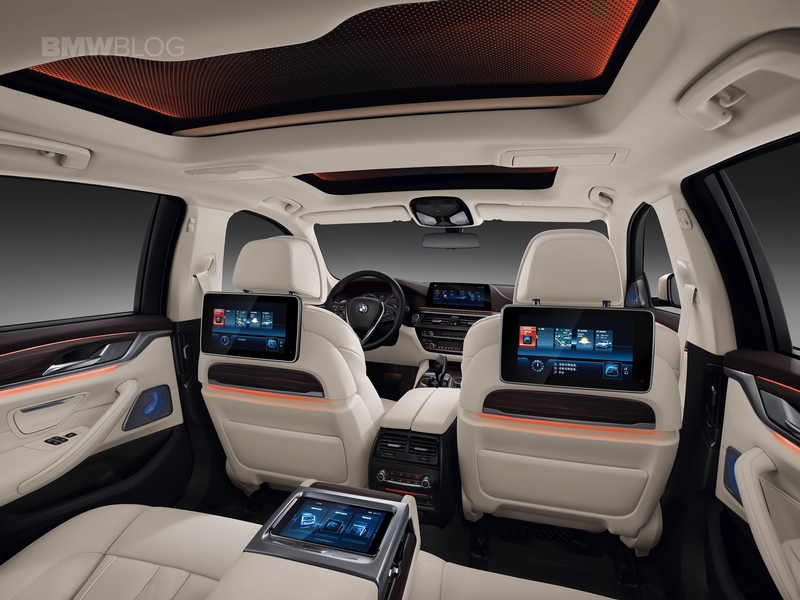 Particularly important for Chinese customers in the improved climate control, which provides with a model-specific activated carbon filter for optimal air quality in the interior. Of course, the Ambient Air package also offers artificial fragrances while the customer enjoys the view through the panoramic glass roof Sky Lounge with integrated LED lighting. 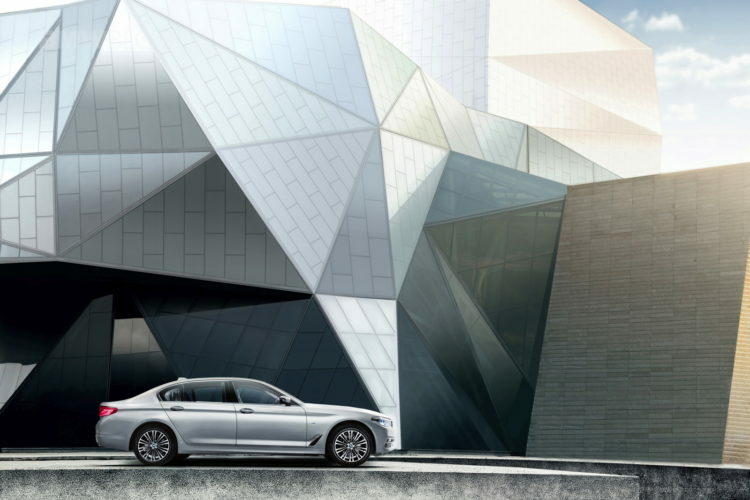 The BMW 5 Series Li truly offers comparable luxury and comfort as the 7 Series, without gnawing at the supervisor’s status.